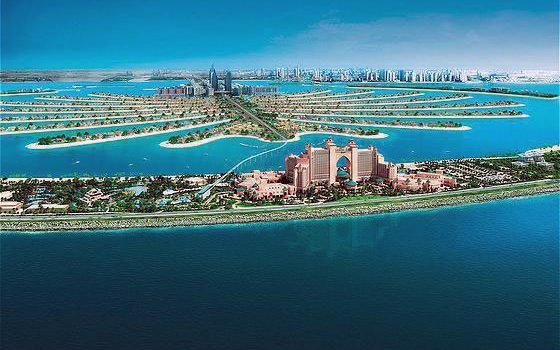 Atlantis, The Palm is a luxurious resort on the man-made island of the Palm Jumeirah in Dubai, United Arab Emirates. It opened in September of 2008 and has used Seametrics products since it was built. The resort includes the hotel, Aquaventure Water Park, a dolphinarium, huge aquariums, and much more. Here are a few ways that Atlantis, The Palm incorporates Seametrics flow meters and controls to keep the aquarium running efficiently, saving countless man hours, water, and ultimately MONEY. Ambassador Lagoon is the main exhibit for the Atlantis Hotel and is the largest open air aquarium in the Middle East at just over 3 million gallons. This system utilizes more than 50 Seametrics insertion flow sensors which are linked to a SCADA control system to automate the filtration process. Atlantis uses RK2 Fractionator systems for ozone injection to assist with filtering the water. Seametrics IP210P adjustable depth insertion paddlewheel sensors are used with FT Series displays to feed flow rates to a SCADA control system which then commands an actuated valve on the fractionator to control water flow rate through the fractionator. This is important for the proper operation of the fractionator. IP210P sensors are installed in a PVC gate valve hot- tap with an FT Series display to measure water flow rates through the sand filters. The FT display feeds flow data into the SCADA control systems. This flow rate data can then be linked to dosing pumps to dispense proper amounts of various chemicals. It also allows the operator to optimize the operation of the system to maintain the 57,600 gallon per minute flow rate needed to keep the water clean and clear. IP810P fixed depth insertion paddlewheel sensors with FT displays are installed in the sea water line supplying the heat exchangers. As the outside air temperature reaches 50 degrees C in the summer, it’s important that the proper water flow rate is maintained through the heat exchanger to ensure maximum efficiency of the exchanger, thus allowing Atlantis to keep the entire 3 million gallon exhibit at 24 degrees C. The FT display, installed for this purpose, not only gives the operator a visual indication of the correct flow but also feeds flow data into the SCADA system. The system in turn sends commands to an actuated valve to open or close to maintain the desired flow rate through the heat exchanger. A recent addition for Atlantis is the installation of the EX210S adjustable depth insertion magmeter installed in the backwash effluent line for the sand filters. Atlantis uses the EX model as the effluent flow can be high in solids which can lead to premature failure of the paddle wheel type flow meters. Correct effluent flow rates are essential to properly cleaning the filter media. Too low of a flow and the sand doesn’t get clean, too high of a flow and the sand is flushed out of the filter. With the use of the FT display, they feed flow data into the SCADA control system. The SCADA is programmed to adjust a valve position to increase or decrease the effluent flow to maintain the desired flow rate. The addition of these meters, integrated with their SCADA control system have removed the guess work from cleaning the sand filters as well as saved countless man hours through automation.